Residential School Money: Has It Helped Survivors Heal? The Common Experience Payment (CEP) is a component of the Indian Residential Schools Settlement Agreement and is intended to monetarily recognize and compensate the experiences of former Residential School students. The study — a follow-up to the 2007 AHF report, Lump Sum Compensation Payments Research Project — builds upon 281 interviews with First Nations, Inuit, and Métis Residential School Survivors. (Full disclosure: my mother and my friend Rick Harp co-authored the Lump Sum report.) Its aims were two-fold: to understand the impact of CEP on individual healing, and, to find out the roles of support services for CEP applicants. [M]ost participants saw no connection between money and healing. 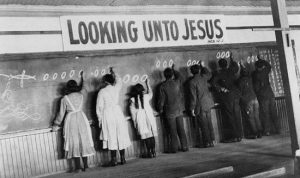 No amount of compensation could repay the language and cultural losses incurred from a residential school system that lasted for 150 years and involved generations of Aboriginal children. Hence, for about half of the Survivors in the study, compensation made no difference to their well-being. As well, another major conclusion of the study was that the application process triggered reactions ranging from “discomfort and a sense of loneliness to feelings of panic and pain leading to depression and self-destructive harm, including addictive behaviours and suicidal tendencies.” For these reasons, there was the expressed need for supports and services for those going through the CEP process. This paper is one of many in a series of valuable AHF research publications that I’d recommend people read, and I was saddened to learn that federal funding for the AHF came to an end as of March 31, 2010. THE MONIES RECEIVED WAS NOT COMPENSATION, IT WAS SHUT UP AND GO AWAY MONIES…..THE MONEY KILLED ALOT OF RESIDENTIAL SCHOOL VICTIMS…THESE ARE THE BROTHERS AND SISTERS WHO STILL HAD NOT FOUND THEIR WAY TO HEALING. MY HEALING JOURNEY BEGAN LONG BEFORE THE TALK OF MONEY CAME INTO THE PICTURE. I SPOKE TO A NUMBER OF SURVIVORS IN MY COMMUNITY AND WE ALL REALIZED THAT WE COULD NOT GET RID OF THE MONEY FAST ENOUGH…..I PERSONALLY GAVE OUT ANYWHERE FROM THREE HUNDRED TO FIVE HUNDRED AT A TIME….IT CAUSED MORE PAIN ALL ROUND; THOSE THAT WERE STILL VICTIMS, SPENT THEIR MONEY ON THEIR ADDICTIONS AND THOSE THAT WERE ON THEIR HEALING JOURNEYS EITHER GAVE THEIR MONEY AWAY OR HAD A RELAPSE INTO THE TRAUMA OR BOTH. THE GOVERNMENT IS AGAIN TRYING TO SWEEP THE WHOLE SITUATION UNDER THE CARPET…WELL, YOUR CARPET IS NOT BIG ENOUGH OR STRONG ENOUGH TO HOLD US DOWN MUCH LONGER. Why the funding is only until March 31, 2011. Why did it stop? @ramonaadams First of all monies is an ugly sounding word just say the money received and shut up and go away money but you do make valid points.